Before suburban shopping malls, indeed, before automobiles, the Ayres family department store anchored the retail center of Indianapolis. Lyman S. Ayres was born in Oswego, New York on September 4, 1824. In 1843 he followed the population movement westward, opening a series of stores in Ohio, bringing goods from New York into the midwest. 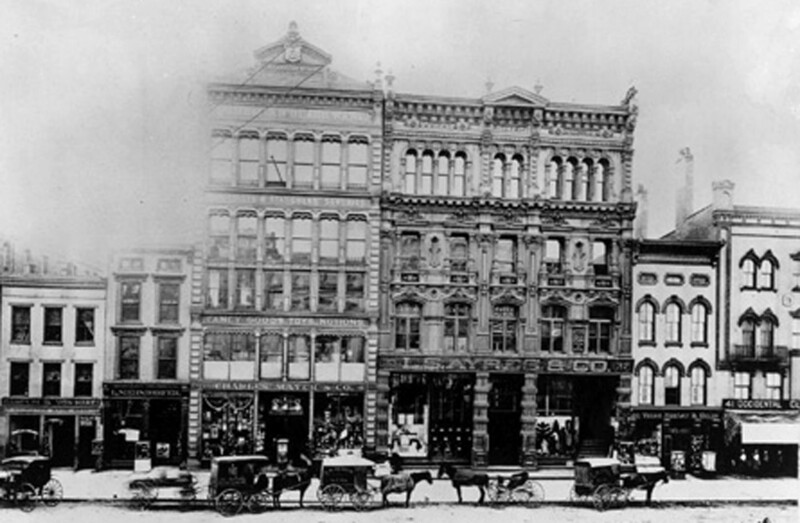 Expanding his empire, he purchased the Trade Palace store in Indianapolis which stood at 26 West Washington Street. For several years he stayed in New York as the buyer for the store, moving to Indianapolis in 1874. Lyman continued to grow his company, expanding to 33 West Washington a few years later. By the mid 1890s the company had outgrown this location, too, and Lyman purchased the land at the southwest corner of Washington and Meridian streets for a grand new facility. Unfortunately, Lyman would not see his dream come to reality, as he died on May 7, 1896. His son, Frederic M. Ayres, would take over the company and build the new store in 1905. The original building was 8 stories tall, with the administrative staff occupying the top floor. In these early days, goods purchased and shipped in from outside of town were expensive and slow to arrive. Like many large department stores of the time, Ayers actually built or constructed many of the items it sold. Managers devoted a complete floor to picture frame and cabinets construction, and another to hundreds of dressmakers who assembled both custom creations and the racks of ready-to-wear dresses on sale below. Most of the rest of the store was sales floor, with the basement reserved for economy items, markdowns, and a large soda fountain. 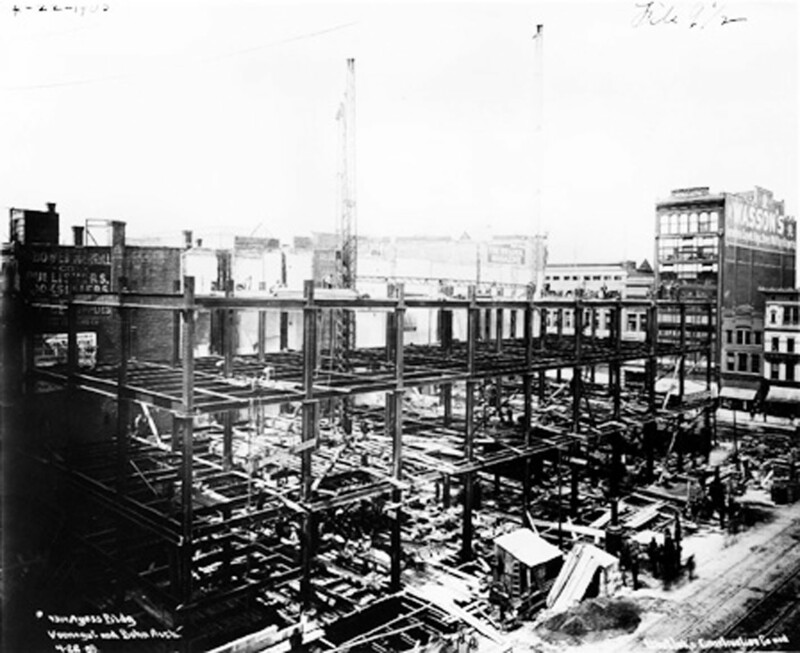 The LS Ayres downtown store under construction in 1905. 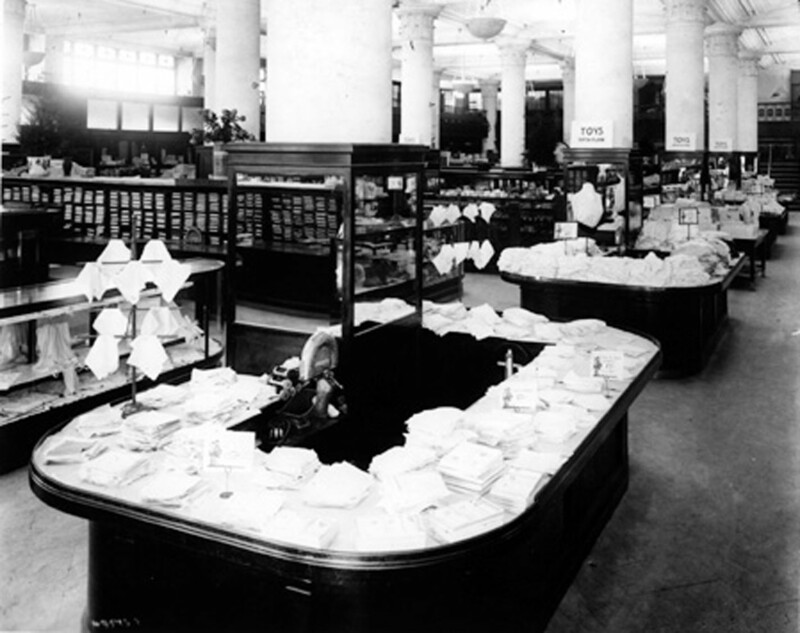 Interior store displays on the main floor in 1916. As the city expanded into the suburbs, so too would Ayers, becoming an anchor of the new Glendale Center in 1958. Under the leadership of Lyman S. Ayres II, who took over the company in 1954, there would eventually be 10 stores open around the city and state. Ayres diversified in 1961 and created Ayr-Way Stores, a discount operation designed to compete with K-Mart which lasted until its sale to Target Stores in the early 1980s. Lunchtime crowds cross Washington between L.S. Ayres and Wasson’s in the 1940s. 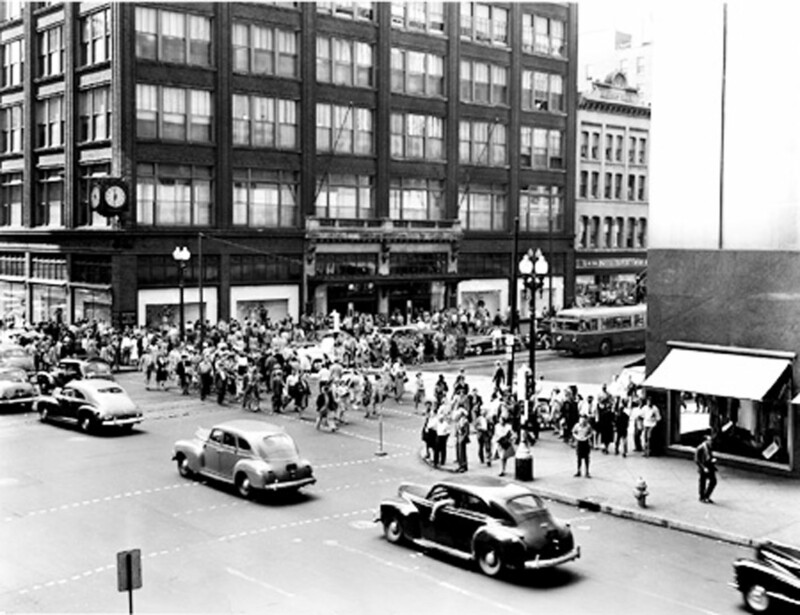 By the early 1970s, the crowded Indianapolis department store landscape caused a serious decline in downtown shopping. The Associated Dry Goods Company acquired L. S. Ayres and Ayr-Way in 1972, operating both as separate divisions. In 1986 the May Company of St. Louis purchased L. S. Ayres and Company. Despite loosing over $2 million on the downtown store in 1988, the May Company signed up to become an anchor for the proposed Circle Center Mall. After years of delays, they were finally forced to close the facility in January of 1992. Curators put many of the historical items in storage, including the cherub that appeared over the corner of Washington and Meridian each Christmas and 120 years of L. S. Ayres downtown came to an end. 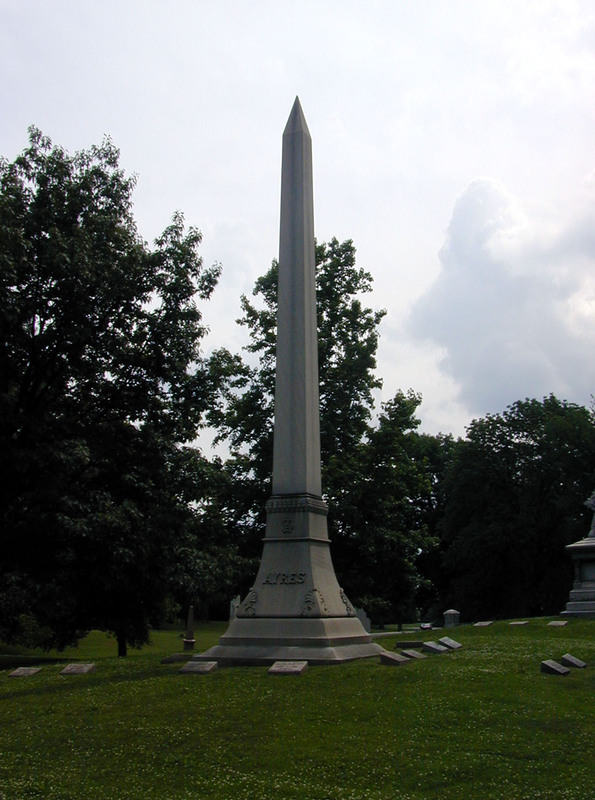 A giant obelisk marks the Ayres family plot. Lyman rests at its base in Crown Hill. But not all has been lost to memory. The Circle Center Mall opened in August, 1995, anchored by a Parisian department store (now Carson Pirie Scott) that occupied the first 3 floors of the former L. S. Ayers downtown store. The Indiana State Museum recreated the Tea Room in their newly completed facility in 2002, and continued a popular Christmastime show, including that same electric train which once again delivers children to a waiting Santa Claus. The cherub has returned, too, reappearing each Christmas in its rightful place over that historic corner at Meridian and Washington as a part of Circle Center’s Christmas decorations. Today you can still shop on the very floor that generations of Indianapolis residents visited, and imagine what it would have been like one hundred years before. 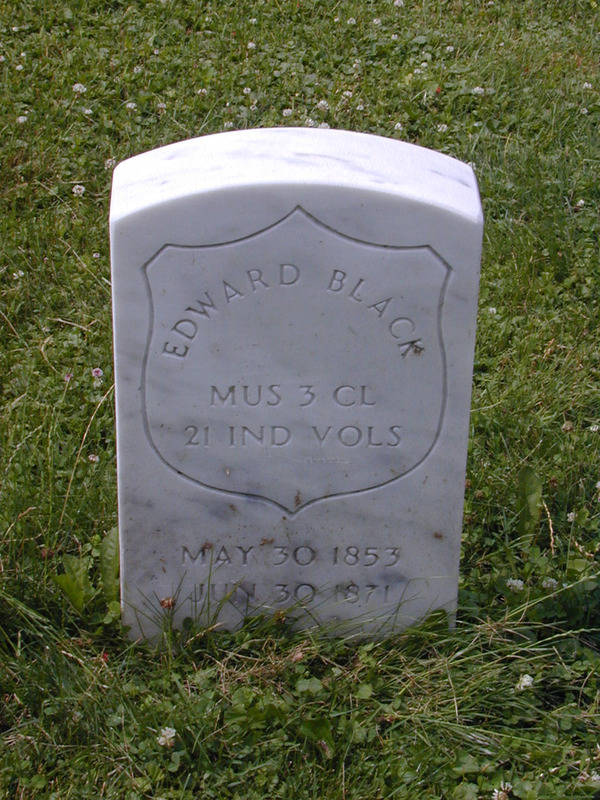 His family buried Lyman in a family plot at Crown Hill, Section 11, Lot 11.